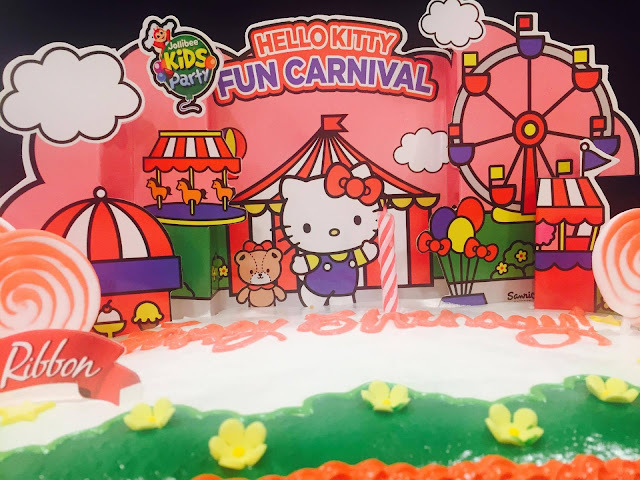 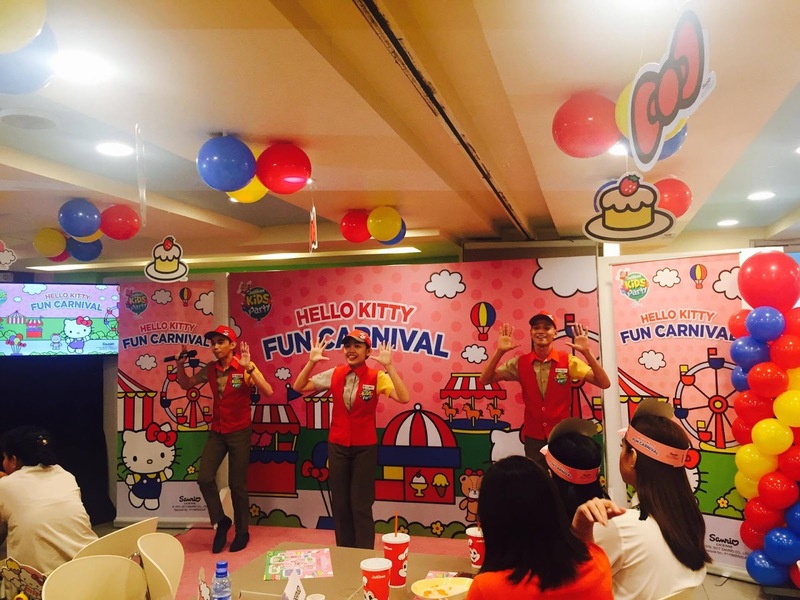 Pinoys favorite fastfood, Jollibee recently launched a new party theme that I'm sure everyone will love- Hello Kitty Fun Carnival. Sanrio's most kawaii character, paired with Jollibee's "langhap-sarap" food makes the party much more fun and memorable. 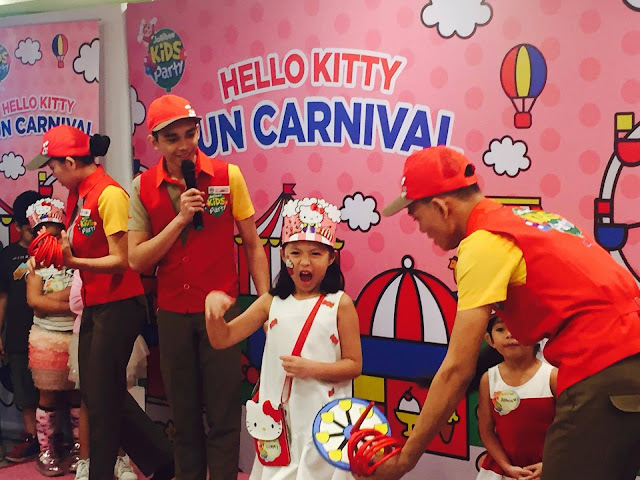 Kids and the kids-at-heart will surely enjoy not only the food but all the games and entertainment, awesome game prizes and party favors. Of course, there's also the delicious Hello Kitty cake by Red Ribbon. What's nice about a Jollibee birthday party is that the host and staff are well-trained to give wholesome party entertainment. There's also games for everyone including adults. 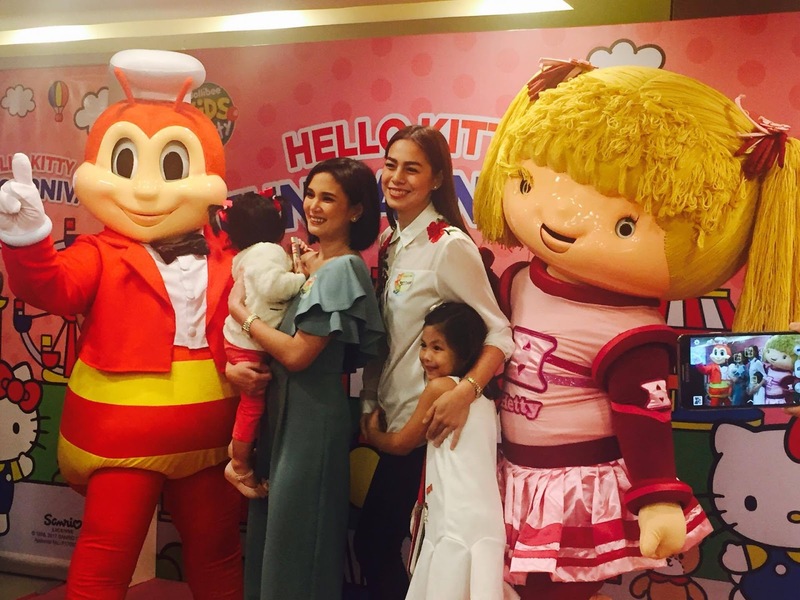 Another nice thing about having a birthday party at Jollibee is that you can create-your-own-package, and parents can customize different party elements of their guests from 30 to 80 guests. 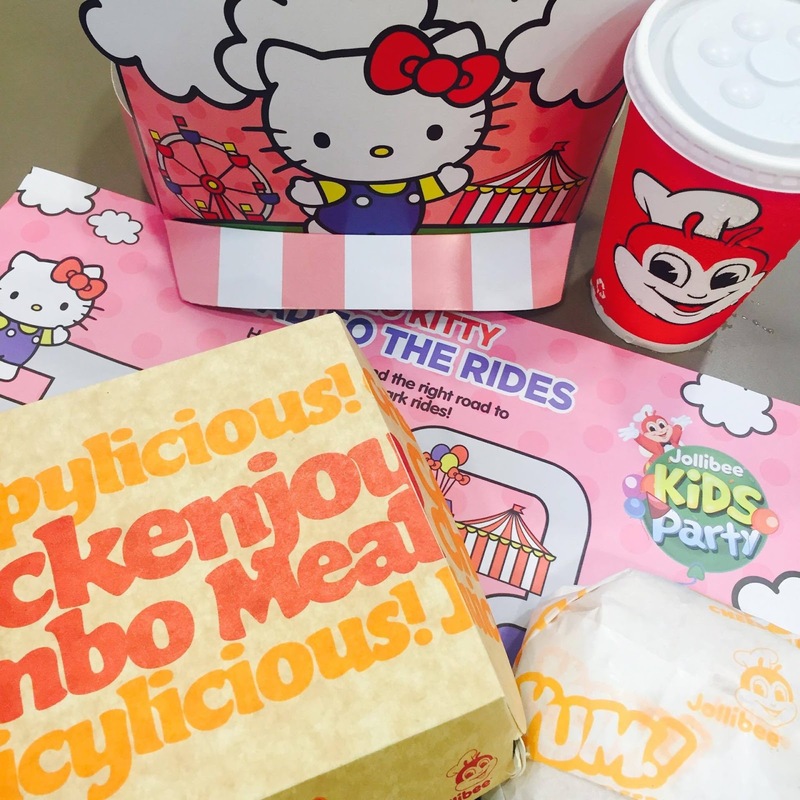 Of course, favorites like Chicken Joy and Jolly Spaghetti are always included on the birthday menu. Aside from the fun and games, Jollibee and other mascots can also make an appearance on your child's birthday party. 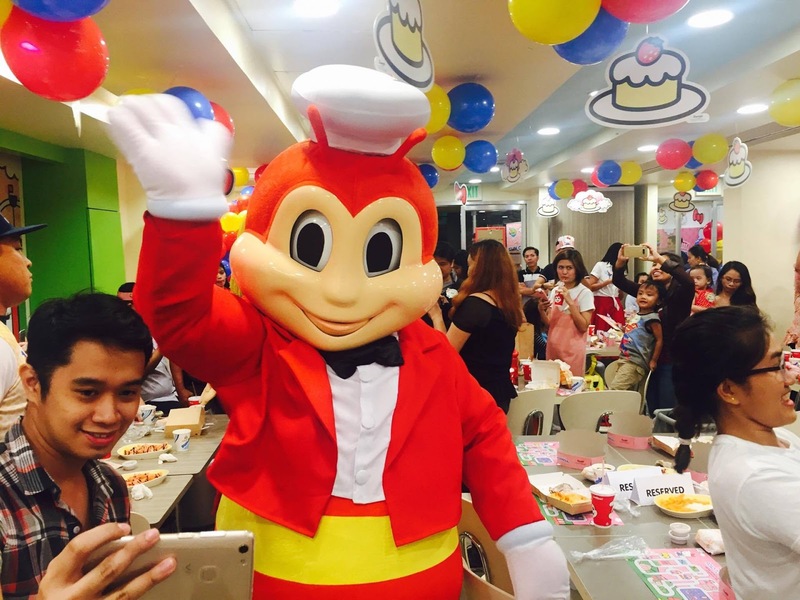 I guess a birthday party at Jollibee won't be complete without having our lovable Jollibee to grace the occasion. And to make the Hello Kitty Fun Carnival theme launched special, Jollibee invited celebrity moms Bettina Carlos and Isabel Oli Prats, along with their kids to join in on the fun. 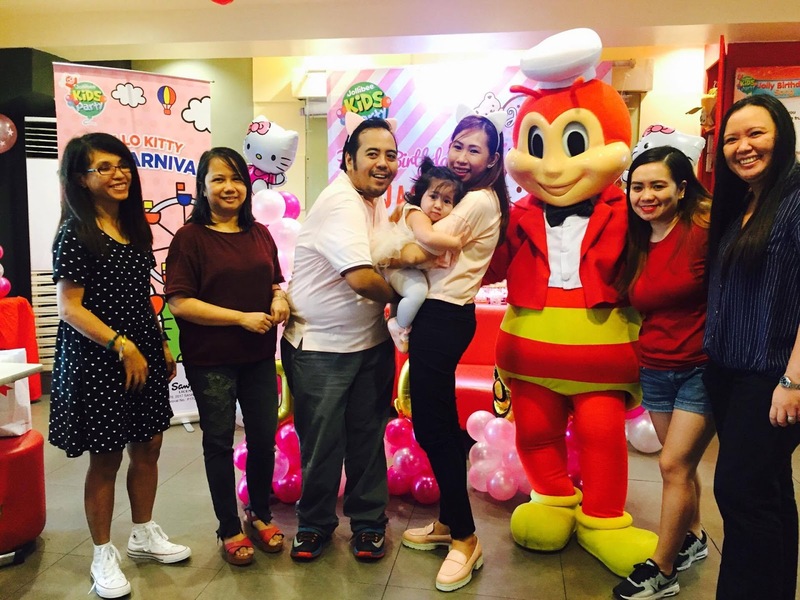 And on a happier note, I'd like to say that my goddaughter, Jaq, just recently celebrated her 1st birthday at Jollibee and with Hello Kitty Fun Carnival as the party theme.